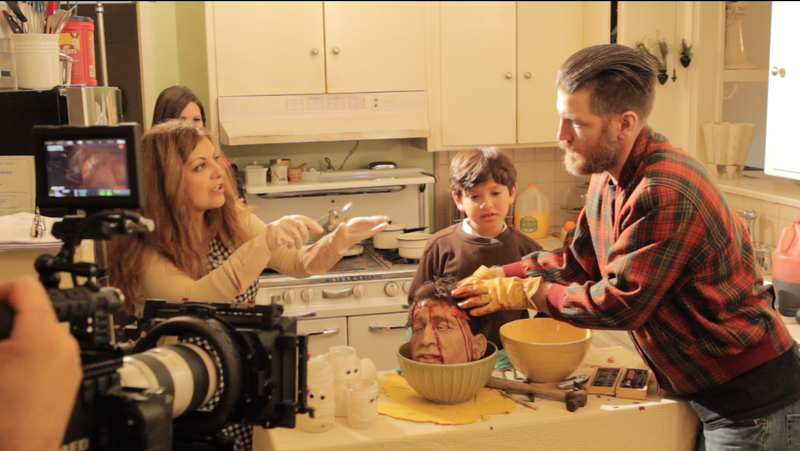 The horror-comedy short that Fangoria Magazine calls “Deliciously Vile,” A TRICKY TREAT (directed by award-winning filmmaker Patricia Chica) will have its World Premiere at the Fantasia International Film Festival in Montreal, Canada. The director and her team will be in attendance. “Fantasia is one of my favorite film festivals, and now that I live in Los Angeles, it is a great honour for me to return to my hometown Montreal to premiere A Tricky Treat,” says director Patricia Chica. “We’re thrilled to screen our little film amidst the giants in contemporary genre movie making,” states the writer Kamal John Iskander. This shocking tale of the unexpected tells the story of a man (Leonard Waldner), held hostage by a very strange family whose fate rests in the hands of two kids. The family is played by Steve Brewster, Andrea Fletcher, Keira McCarthy, and newcomer Marco Reilly. After a successful market screening at the Short Film Corner in Cannes, A Tricky Treat will go on to play at Scream Queen Film Fest in Tokyo, RIP Horror Film Festival in Hollywood, and the 21st San Giò Verona Video Festival in Italy. More festival screenings will be announced soon. A Tricky Treat is the first collaboration of creative duo Patricia Chica (director) and Kamal John Iskander (writer) who have been called the “Gruesome Twosome” by popular online cinema blog, The Movie Guys. Shot in Los Angeles earlier this year, the film is executive produced by Tara Kurtz (Los Angeles), and produced by Patricia Chica (Montreal), Grace Santos (Los Angeles), as well as Byron A. Martin (Toronto). Co-Executive producers are Adonai Interiano of HNI Productions (Los Angeles) and Morris Umali (Australia). Originally from the West Coast, Tara Kurtz (@Kurtz_Tara) has worked in all facets of film development including production, location management, casting, and distribution. In addition to producing, Tara has extensive experience in talent management as one of the partners of Hummel Entertainment in Los Angeles. Her feature credits include Something About Her and Blue Weekend for Cineville Productions. 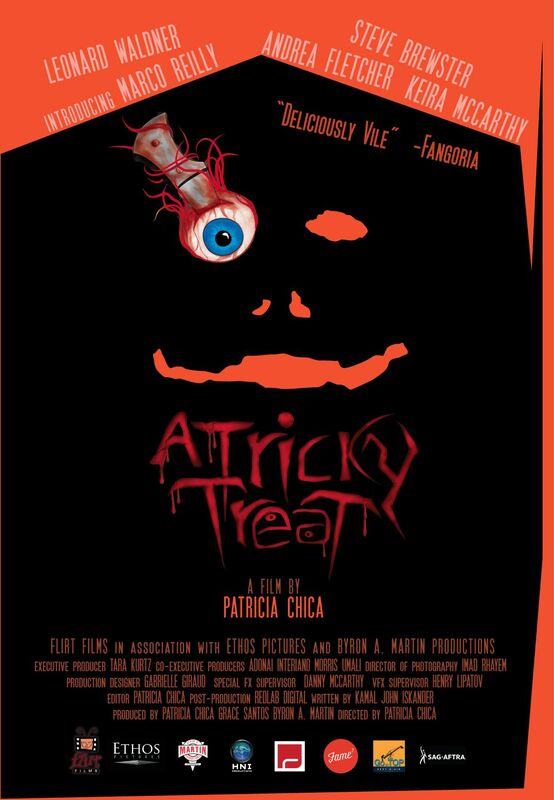 A Tricky Treat is Tara’s first collaboration with Patricia Chica, one of many to come. 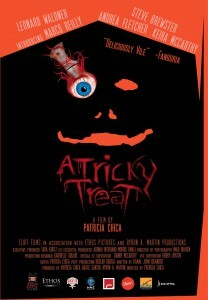 To know more about A TRICKY TREAT, please goto the Facebook page.